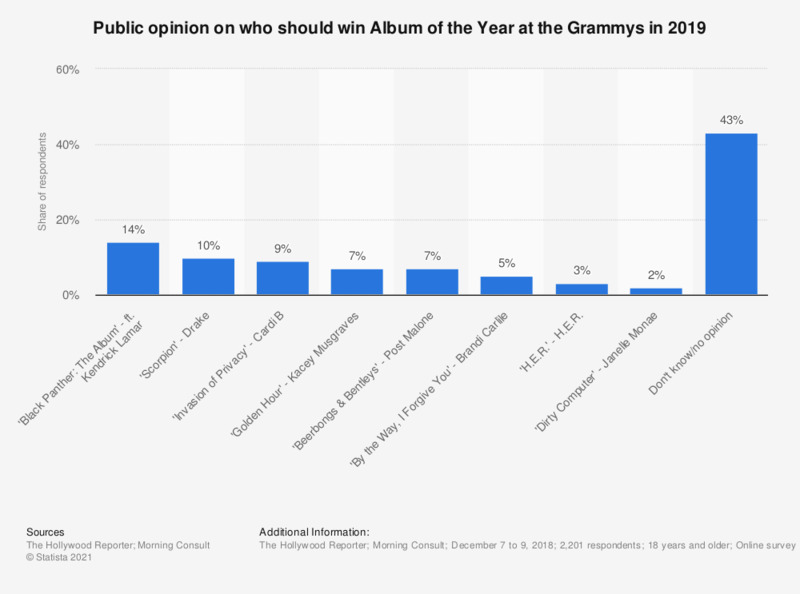 The statistic presents the result of a survey on who should win the Album of the Year at the Grammy Awards in 2019. During the survey, 43 percent of respondents stated that they did not know they thought should win, or had no opinion on the topic. However, the most popular album was the soundtrack to the 2018 box office hit film 'Black Panther', with 14 percent of survey respondents stated that they would vote for this album in the Grammy Awards.